In Ilocano society, what used to be taboo not too long ago is now an accepted art form, a self-expression for the wearer, a showcase of artistry for the maker—the art of tattoo. Before it gained a comeback in mainstream culture, tattoos were usually strategically done on parts of the body where regular clothing concealed these permanent markings. A conspicuous tattoo was enough to scandalize the strait-laced sector of society. It was like a stain that foretold a troubled past. Rebellion and nonconformity were also associated with these ink designs embedded in the surfaces of the skin. In the Philippines, prior to the Spanish colonization, tattooing was part of tribal culture; tattoos signified rank and power. In other cultures around the globe, tattooing has a huge historical significance. It might have originated from the Samoan word ‘tatau’ which means ‘to mark something’. Polynesian tattooing, which signified great vitality, is considered the most intricate and skillful tattooing of the ancient world. In ancient Egypt, tattooing was restricted to women only. Other cultures associated the ‘ink on skin’ art with mystical powers. In the US, the birthplace of American style tattoo was in Chatham Square in New York. The first modern electric tattooing machine, based on the rotary technology of Thomas Edison’s autographic printing pen, was invented by Samuel O’Reilly in 1891. US military servicemen who had their war exploits permanently outlined on their bodies popularized the art; the dog tag continues to be a favorite tattoo design, it assures the wearer his identity can never be switched. Long before the HIV scare, tattooing was linked to blood-borne illnesses such as tetanus, hepatitis, etc. Tattooists often failed to practice sterilization techniques making the art earn an ill reputation. Self-regulation has made it safer and more popular than ever. The art of tattoo is now being embraced by people from all walks of life. Nowadays, cosmetic services like permanent eyebrows, lip line, lip color, and cheek blush are as common as a perm or a hair coloring job. Much like the tattoos of pre-historic times, modern day tattoos denote distinction and utmost courage. Sitting down through slow and painstaking sessions to have indelible ink marked on the skin requires a great deal of tolerance; for the few who prefer a large amount of ink deposits, certain callousness. With the advent of modern anesthetics, even the eyeballs can be tattooed. Before having a stealth tattoo, apparent under UV black light, please consider this tip: The safety of the new glow in the dark tattoo ink is still in question. Photo luminescent pigment may contain phosphorous which causes skin burns, liver, heart and kidney damage. Death due to the use of uncertified black light ink from an Asian country (famous for another chemical related scandal) has been reported. Tattoo prices depend on the design and the tattooist, who usually charges by the hour. Custom designs are more expensive. On the other hand, tattoo removal through excision, dermabrasion, salabration or laser surgery is way more expensive and requires a longer process than getting a tattoo done. Removal of pigments of tattoo ink might even result to deep scarring or uneven skin color. Tattoo ink that comes off after just one laser session is in the works. Tattoo de Iloco, in the heart of downtown Laoag, is the first tattoo studio in Ilocos Norte that offers permanent and temporary body art. 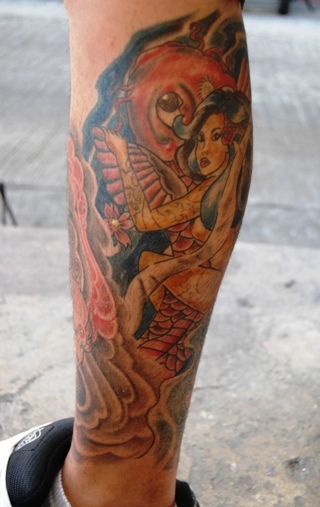 I’ve always been fascinated with Janer Santos, its owner and tattoo artist. I had the chance to work with him on two separate occasions, not tattoo related. 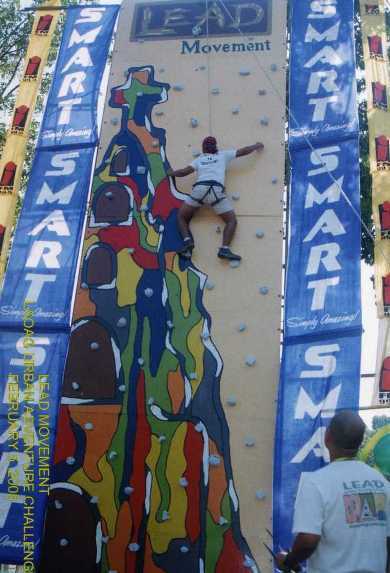 The first was on the gigantic wall for wall climbing for the first urban adventure challenge in Laoag, organized by the Laoag Eco-Adventure Development (LEAD) Movement in cooperation with the City Government of Laoag, in 2005. He and Margo Medina did an Andy Warhol-ish treatment, a pop art take, on the Laoag bell tower painting on the wall. The second was on a drop box, yes, a raffle draw drop box for name stubs which was used at the Adams booth in the first best of Ilocos sports and adventure exhibit by the DoT, dubbed ‘Ilocos… more than you can imagine’, which was held at the Clamshell Pavilion I in Intramuros, Manila, in the same year. 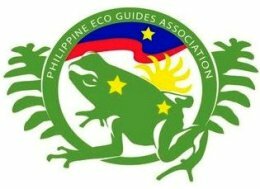 In an effort to further promote ecotourism in Ilocos Norte, the same eco-adventure group contributed a free all expense vacation trip for two to Adams. Janer did a great job to make the drop box eye catching; the raffle was a hit among the visitors at the exhibit. For that collaboration, I asked him to interpret what I had in mind… something Ilocano. The box was hand-painted like a brick wall and the front had the raffle details done in tribal-inspired calligraphy. The true artist in him never disappoints. It was only when he opened Tattoo de Iloco that I came to discoverhis other medium of art—the human body. In 1997… I was still a scratcher then, meaning an underground amateur, until I turned pro in 2004. If I may add, it was in 1995 when contemporary tattoo art reached popular consciousness all around the world. Tattoos are now like accessories. Did you take formal lessons? I took up 1-year special fine arts course in Bel Arte. I’m just a self-learned tattooist; up to now I’m still learning; it’s a continuous process. What made you decide to open a legit studio? After I earned some money from my rackets, and my sibling in the US sent me a complete set of tattoo paraphernalia—that’s when I decided to open shop. How do you make sure the process is sterile enough? For every session, I use new ink, ink cap, tube, grip, and tip for the tattoo gun. I have an autoclave, a sterilizer, similar to the ones dentists use. I wear sterile gloves. My relatives in the States buy for me. Do you test for ink skin sensitivity before a session? Has a client complained of severe reaction, or keloid formation, after getting a tattoo? Since you started, how many tattoos have you done? I lost track, but since I opened, about 15 in a month. What is the most requested design? An Asian koi fish which symbolizes good luck. Oriental designs in black and gray are popular. What other designs have you done? Tribal, angels, mermaids; and macabre designs inspired by Paul Booth. He was dubbed ‘The New King of Rock Tattoos’ by Rolling Stones magazine. How long does it take for the skin to heal? During tattooing, is it still painful even with a topical anesthetic? Topical anesthetics, like Emla, wear off in about an hour. Small designs take about 2 hours to finish. The longest session is 5 to 6 hours straight. Clients don’t mind the absence of an anesthetic. While you were busy preparing your tools for your next client, I asked him, “How does it feel when the needle touches the skin.” “Just a little pinch” was his answer. What areas in the body are the most sensitive to pain? The skin above the ribs… and the kidneys, at the backside. Do you have any funny experience with a client? A client collapsed in the middle of a session. Do you have glow in the dark tattoo ink? No, it is not advisable. Good! I heard a scary story about this good-looking woman in England who died a few days after she had black light rings tattooed on her breasts. Well, let’s have a break from all this serious talk. You’ll laugh at this… glow in the dark ink was invented so that a less-gifted guy can find his l’il bro. Oh, how old was the oldest person you’ve worked a tattoo on? What is your most memorable tattoo work? A half-paralyzed client, about 70 years old, asked for a tattoo portrait of his wife. He brought his wife and a photo of her when she was probably 20. How touching. What was the most difficult you did? The first full back tattoo which was my entry to my first competition. I did not win. In the States, tattooists charge by the hour, about 40-100 dollars/hour. Here is it per design? I charge per design. Yes, tattoos are expensive in the US… and a minimum of 100 dollars per session. My peak season is December to February when balikbayans come home. How much do you charge for a custom design… a 2-inch butterfly perhaps? How much was the highest amount you charged? 500 pesos for black and gray, and 800 for colored. I charged 17,000 pesos for a difficult design. It’s cheaper here than in Manila or Cebu where it would’ve been about 40,000 pesos. Oh, I see… so, definitely, the tattoo culture contributes to tourism and the economy. What designs are popular among our visiting kababayans? Philippine tribal motifs and the 3 stars and a sun… something to signify one’s being a Pinoy. Do they have a tattoo studio in Vigan? They used to. The artist has left for abroad. Are there many tattooists in the province? I saw the PhilTAG logo on your signage, what is it? 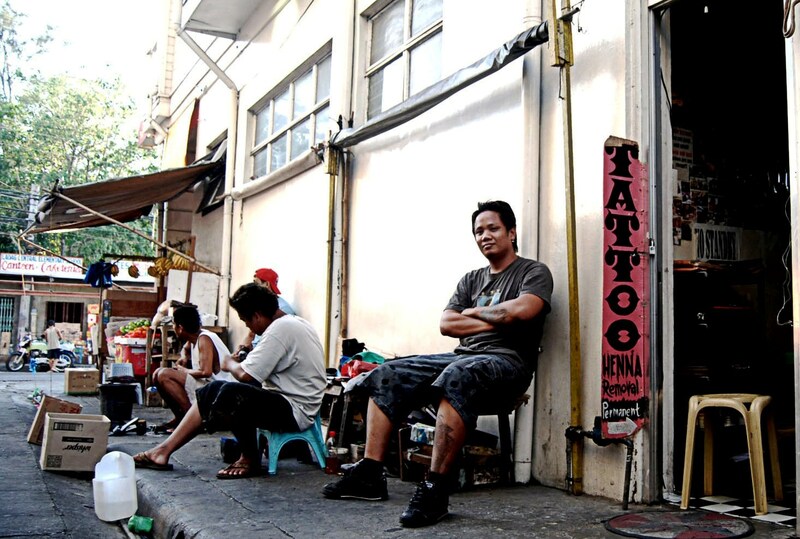 The Philippine Tattoo Artists Guild, Inc. I am a member of this group that promotes high quality and safe tattooing in the country. They conduct seminars too. PhilTAG to us is like what the Philippine Medical Association is to doctors. In the country, who is considered the best in this business? 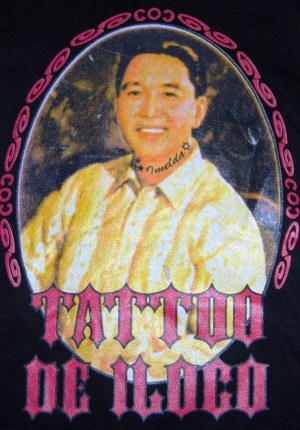 Nero Nievo, the founder of PhilTAG, and known as’ The Father of Tattoos’ in the Philippines. Tatay Nero is a consummate artist. He is also called ‘The Emperor of Ink’. He charges about 1,000 pesos per hour. Ricky Sta. Ana, the current President of PhilTAG, is also very good. He has won many local and international awards. Have you ever rejected a client? Yes, minors, and people under the influence of alcohol are not allowed because of the bleeding risk. Who comes to you for skin art? All sorts. I’ve done a tattoo on a Catholic priest. He came with a picture of his mountaineering feat. A lady doctor regularly comes for a henna tattoo. Can you share a weird or unusual experience? A client had a cat and the words, do or die, tattooed on him. 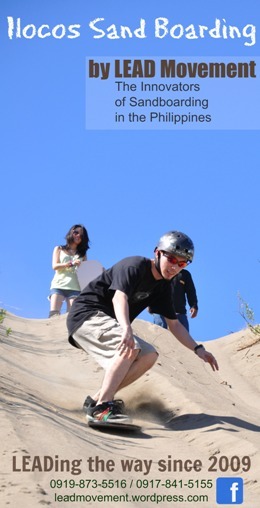 2 or 3 months later, he died due to a motorcycle crash. Kind of prophetic. What are your pet peeves when working? Ha, ha, ha! Skin that has been chemically whitened or bleached is tougher… like it’s difficult to absorb ink; and a person with very dark complexion who asks for a multi-color tattoo which looks better on fair complexion. I advice black or gray on dark skin. Yeah, I think sometimes tattoo, will looks great, but it’s out of fashion now. Thanks. I don’t think it will ever be out of fashion. Thanks for reading. 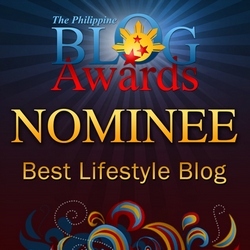 Your blog site makes me a proud Ilocano as well. I grabbed the picture of the wall rin pala, i hope it’s ok.
Goodluck to your future projects!Godspeed. I’m happy to hear from you, Margo:] We’re all proud of you and Janer. My post on Janer is my top post ever. Miss you. Nasapulam man daytoy blog. Of course, you can grab all you want. The pics are ours. Thanks, gayam. hi! it’s so nice to have some issues like yours. i, for one is also researching about tattoos but I’m focusing in Mountain Province. anyhow, it’s so nice to here from your place that you are also reviving the culture of tattooing. Thanks much for the visit. The culture and arts of the Mountain Province has been a big contribution — influence, inspiration — to the art form. Please feel free to leave a link if you have a blog post on tattoing. oh, thanks! great tattoo artwork! ana t cell # manung? manung janer dmula may iteg cel number mo? @Janer I’ll visit you soon. I don’t have a facebook account. @carlo…..tattoo removal will depend sa size at gaano kalalim ang iyong tattoo……at sya nga pala pati location nya….baka kasi di mo kaya ung hapdi nya…….kasi i tatattoo ko rin yun….. na mahapdi halos kahapdi ng alcohol…pero tolerable naman po sya..at syempre mag kaka scar sya na parang gasgas pag di malalim ang tattoo mo…pero pag malalim sya mag kaka scar sya na parang napaso ka……..mas maganda po makita ko po sya mpar ma estimate ko na rin kung magkano…bale minimum ko po ay 800 pesos…..mga half inches cguro ang size…txt po nyo ako…09203466607….at pwede rin po home service basta malapit lang ng laoag…..